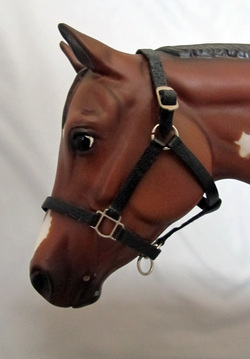 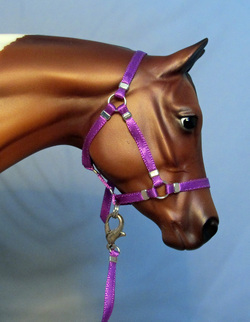 Purple ribbon stable halter with Lead. 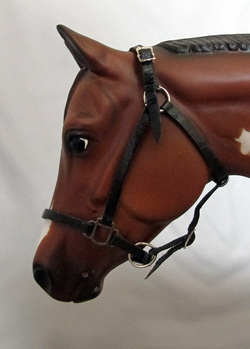 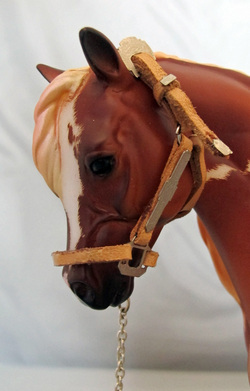 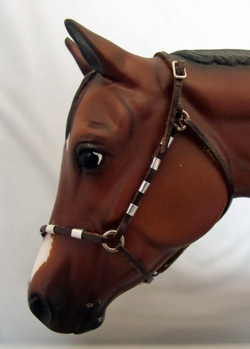 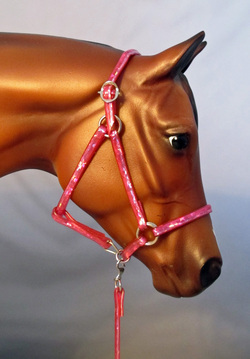 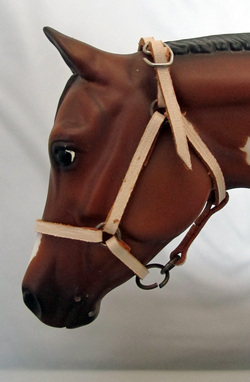 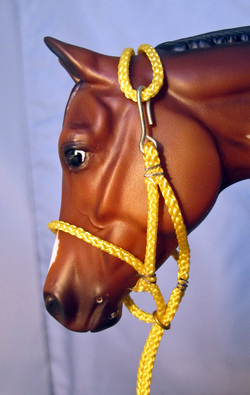 Pink plastic stable halter with lead. 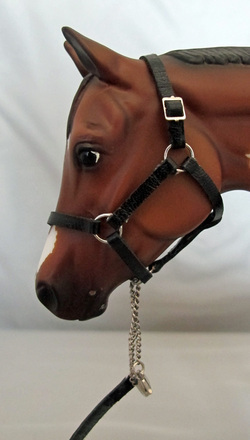 Black leather halter with lead. 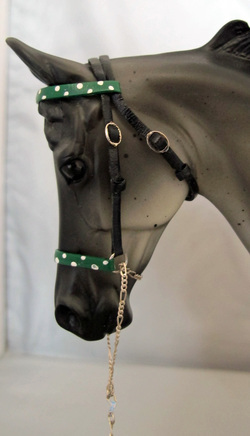 Black Leather Halter (no lead) adjustable nose and crown. 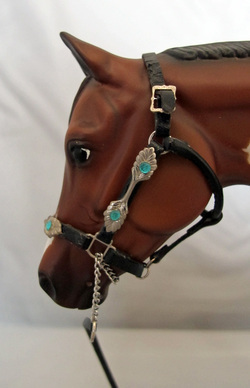 Pony sized Western Show halter and lead. 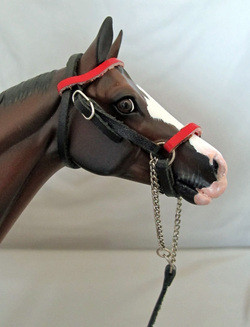 Red and Black Light Breed Show Halter with lead.